Remember the fairy tale about Goldilocks and the three bears? A little girl named Goldilocks wandered into a house in the middle of the forest where she found three bowls of porridge sitting on the table. The first bowl of porridge was too hot, the second too cold, but the third bowl was just right. It may seem odd to begin a vaping article referencing a children’s story, but this one happens to be the perfect analogy for choosing the proper nicotine strength for your vape juice. Too much nicotine in your e-cigarette juice can overload your body with an intense throat hit that is much stronger than what you're used to, while too little nicotine can leave you with a vape that tastes bland and leaves you unsatisfied. For most vapers, the ideal nicotine strength lies somewhere in the middle. But as Goldilocks discovered, finding just the right balance can be tricky business. For new vapers, we typically recommend starting with Regular (1.8%). This strength closely resembles traditional cigarettes and provides an excellent middle-of-the-road mix of both strong flavor, and the type of throat hit you may be accustomed. For the experienced vaper who is something of a vape juice connoisseur and enjoys an intense throat hit, we recommend the Bold or Full Flavor options. New vapers who previously used strong cigarettes like Marlboro Reds or American Spirits might also consider starting out with these more concentrated nicotine juices. On the contrary, if you prefer lighter strength cigarettes or the throat hit of your current e-juice is too strong, then try going with the Light or Ultra Light options. We also have completely nicotine-free e-juice for the vaper who wants to experience the feel and delicious taste of a quality vape juice without ingesting any nicotine. Of course, while these recommendations are a good starting point for those who are fairly new to vaping, every person will have an idea of how their perfect e-cigarette should taste. Ultimately, determining the best nicotine strength may take some time and effort. Start slow. Most health professionals agree that the best strategy to follow when choosing an alternative nicotine product is to find one that contains close to the same amount of nicotine you’re used to. That way, you lessen your body's shock and increase the likelihood of a successful adoption of vaping. Don't skip levels. If you've been using Regular nicotine juice, don't jump immediately to Bold. We suggest you adjust the nicotine level slowly by going up or down one level at a time. For instance, for a stronger throat hit, try Full Flavor first before you graduate to Bold. Be adventurous. Before you settle on one particular nicotine strength, try out a couple of different levels first. You'll never know if you can improve your e-smoking experience even more unless you open your horizons and try new things. And of course, if you ever have any questions about your nicotine strength, e-juice or vape device in general, feel free to give us a call and talk with one of our friendly customer service reps. Or you can also stop by one of our retail locations and talk to one of our knowledgeable staff members in person. 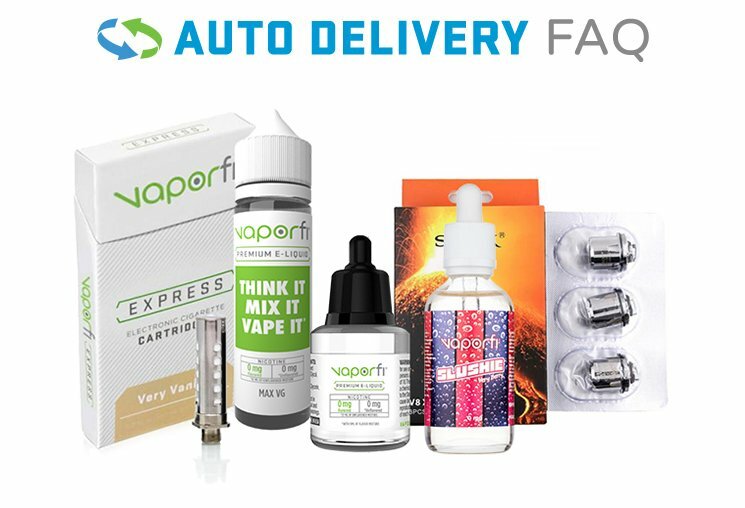 Browse our online store to explore our supply of delicious e-juice flavors, or create a custom blend and adjust the nicotine level to your exact liking.